Fiction-Food Café: Topsicles (Tofu Popsicles) from "Persona 4"
Topsicles (Tofu Popsicles) from "Persona 4"
In the JRPG video game "Persona 4" (and "Persona 4 Golden") the characters Teddie and Kanji are in love with a popsicle dessert called "topsicles". 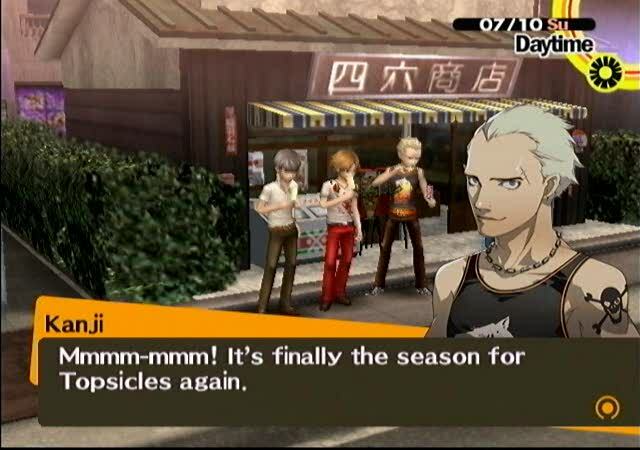 In the game no definition of the treat is given but the predominant fan speculation is that they are popsicles made with tofu (another thought is that they are popsicles with another flavor or something on the top). Tofu is soybean curd (don't let that scare you!) 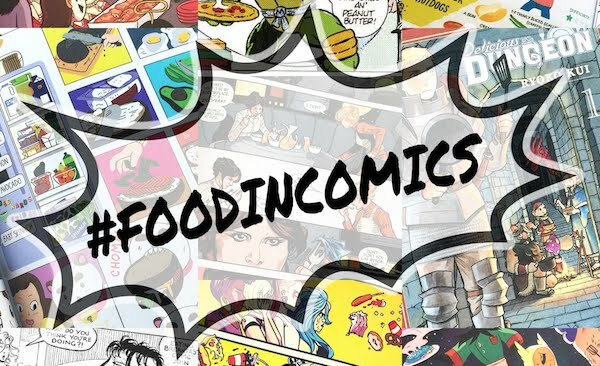 and is uber healthy, being an excellent source of high-quality protein, B vitamins, iron, and other awesomeness. 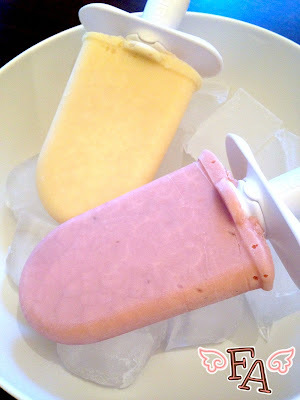 Combine that with fresh fruit and freeze it and you've got yourself a healthy yum bar perfect for the summer weather. Note: The recipes below are for strawberry & banana topsicles and pineapple topsicles but you can definitely change up the fruit if you want! The basic recipe is uber easy--just tofu, fruit juice (like apple, orange, or pineapple), and chopped fruit. 1. Put the ingredients in a blender & blend until smooth (no more white spots of tofu). If you'd like to make it sweeter add honey or strawberry jam or spread to taste. 2. 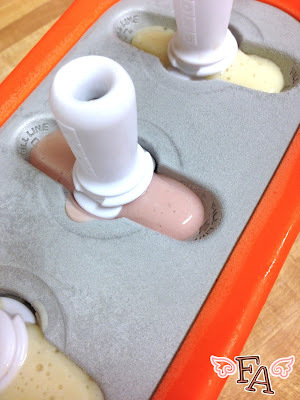 Pour the mixture into your popsicle molds of choice & freeze according to your mold's directions. 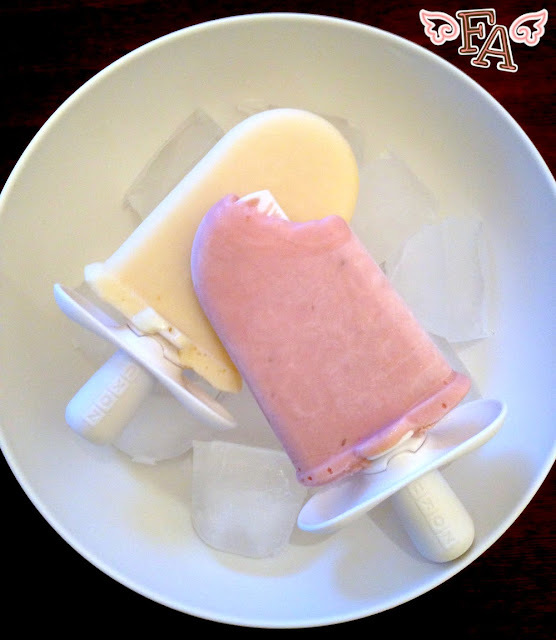 Note: to make banana topsicles, simply omit the strawberries & add another banana. Likewise for straight strawberry, omit the banana & put in 1 cup total of cut strawberries. 1. Drain the crushed pineapple juice into a 1 cup measure & fill the cup the rest of the way with apple juice. Put the ingredients in a blender & blend until smooth. If you'd like to make it sweeter add honey to taste.